With a 10 foot lightning cable, you can use your iOS device while it’s plugged in across the room. 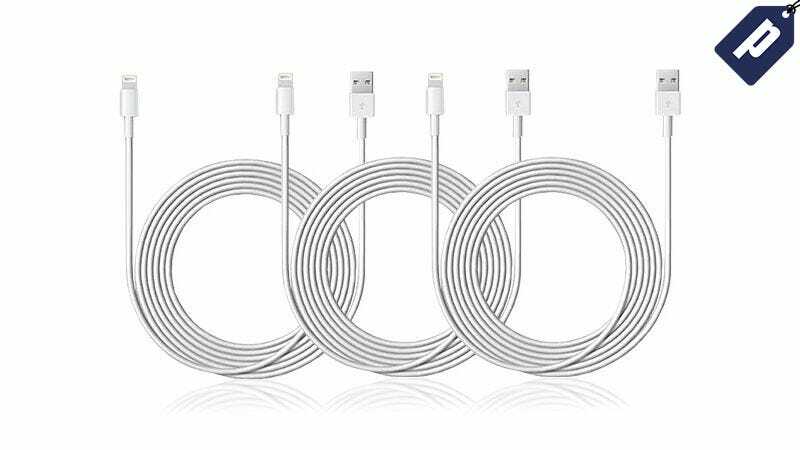 Right now, Gizmodo readers can get a 3 pack of 10 foot, MFi-Certified lightning cables for just $22 with free shipping. Get a three pack and keep one at home, one in the office, and give one away. They’re just $21.99 with free shipping - hit the link below to get yours, and order today to get them in time for the holidays.